View Poll Results: At what speed to you think a windshield become necessary? A graveyard for our fellow creatures who could have co-existed with you as you enjoyed the ride. The ones in your teeth would have been good protein. I have a rule. Only kill what you eat. As i've said before, i like my screen. Road through a hatch yesterday, saw it in time to duck my head down so at least kept my helmet clear, but the screen was plastered. Mine is a Chinese copy though. QR clamps are good but the screen itself is thin and far too flexible and scratches easily. National Cycle might finally get me to buy a shield, since I have a taller seat and they have a new tilt-able Gladiator model. I generally prefer a uniform wind blast to a turbulent but weakened wind exposure. That is I'd rather not have a shield if I'm going to have buffeting. My 2007 DL650 V-Strom had a height-adjustable shield but it was so far forward the wind was really awful by the time it got back to me. Then the aftermarket produced a "MadStad" bracket for it that let it tilt, and it reduced the problem probably 80%, and the rest was tolerable. 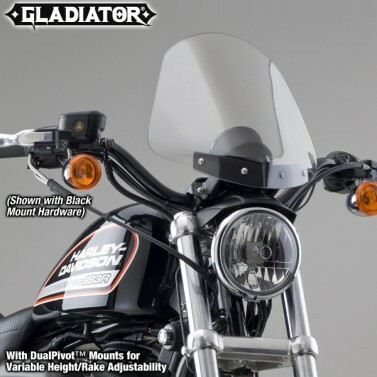 So now National Cycle has their Gladiator line which is height- and rake-adjustable, so I might give it a try. It's not very big, but I bet it will make it easier to ride longer. Here it is in one shade. But sometimes reality trumps rules. Yesterday I was bombed by birds. Think its worth it. I buy the Harley ones. DOT compliant. And they fit with less hassle. Sold the one that was on my bike when I bought it if that answers your question. 1400 miles last September. Very glad I had the shield as it rained a good part of the trip. Riding locally in warm weather I don't use the windshield. In colder weather and any long trips, I wouldn't go without the shield. I've had them on my Harleys but not my Triumph. I like em. I have a gauntlet fairing on the Sportster. 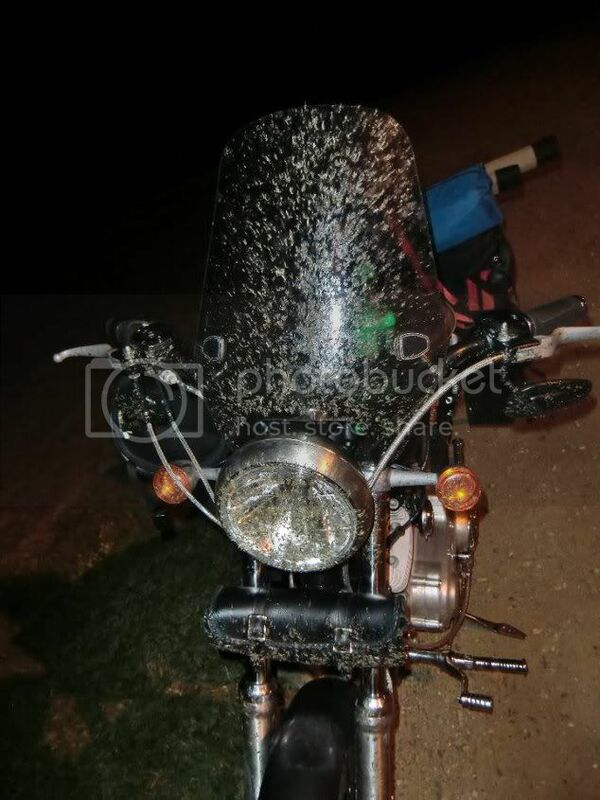 It works real well for keeping the air from your chest, mostly feels like no fairing, I can get down behind it when the bugs get thick and when going through the rain and it looks good. Might put something on the FXLR, haven't decided yet, it'll be something small though. Don't like the big tall clear windshields.